I was only 14 at the time. I would be ashamed of myself because of how often my stomach hurt. It came to a point where no one would believe the excruciating pain I was facing. This was pain unlike no other. My doctors here in Michigan would blame one another. They told me it was my menstrual cycle, or I was stressing out too much, or even that I had too many bladder infections. Every single time, I was misdiagnosed. Fast forward two years, the hospital became my second home. It was the end of my junior year of high school. I was constantly getting attacks, hopping from one doctor’s office to another. I was beyond frustrated because no one could fix me. As soon as we would come to a conclusion, an attack would strike again. My stomach felt like it was going to blow up. It felt bruised and tender. The attacks lasted three days. During that time, I couldn’t walk, eat or function properly. It was now senior year of high school, known to be the best year yet. I was still misdiagnosed and was in the hospital once a week because the attacks were constantly recurring. For two whole years, I was seeking medical help because the pain was unbearable. Living life in fear of getting an attack was scary. I never knew when it would happen, why it happened, or what this madness was. Finally, I started college. My team here in Michigan gave me the suggestion of staying near home, so my parents could help me just in case anything were to happen. Half of my dreams were crushed, but deep inside I had hope. I finally got an appointment with the best GI doctor here. But, after many procedures and no diagnosis, he recommended me to Mayo Clinic in Minnesota. March 7, 2016, was my first appointment. I met with Dr. Magnus Halland, who was the head of my care team at Mayo. He got everything aligned, and I was out of there in two weeks. I met with every single type of doctor you can think of. I felt so loved and cared for at Mayo. I was diagnosed with pelvic floor dysfunction. Two months after a genetic test, I was also diagnosed with familial Mediterranean fever, or FMF. My world shut down. This disease consumed my life. Being Armenian, I did not think it could happen to me. 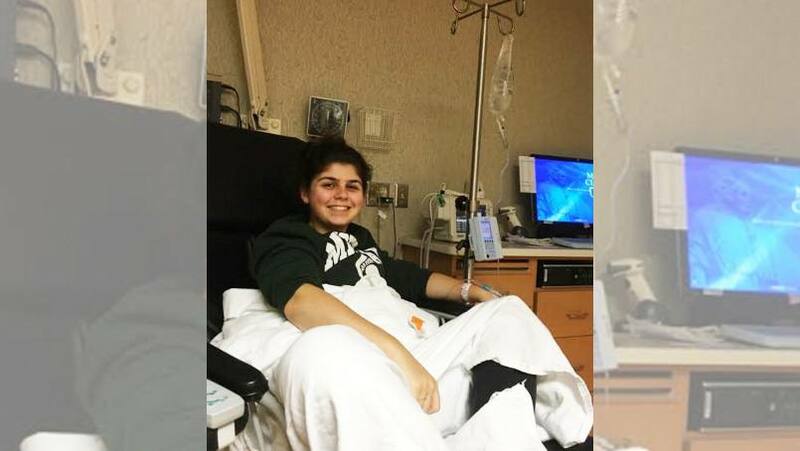 This is a rare autoimmune disease in the United States, but it’s said to be very common in the Middle East. I started advising all my family and friends with these symptoms to do a genetic test to get diagnosed. After a couple more visits to Minnesota, I was treated in May 2016 and had biofeedback therapy treatments done, along with medical treatment that could prevent my FMF attacks from happening. I am now doing better. Mayo Clinic has given me so much. Being there every three months has made me thankful, more than I ever was. It gave me another chance at life. During my time at Mayo Clinic, I was inspired by everyone there. In April, I will actually launch my first children's book called Be Positive, a book emphasizing the strength of positivity through medical conditions and medical help. Life since Mayo has been nothing but a blessing. It is amazing how well the doctors are trained and just how much they care for their patients. Thank you to my wonderful care team for giving me back my teenage life. To my wonderful nurse and doctors: Without you, I would not be able to do half the things I do daily. I am a lucky girl. Mayo Clinic will forever be my backbone. Learn more about familial Mediterranean fever. Read about the Department of Clinical Genomics at Mayo Clinic.